One of the most exciting quarterbacks (and there have been many great ones at AHS) is Charles Babb, who graduated from Alliance High School in 2007. Babb was electrifying on the football field, be it with his legs or his talented throwing arm, he could beat teams in so many different ways. 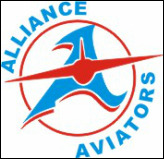 He set countless records during his time at the helm of the Aviators’ offense, including career passing yards (5,257), career touchdown passes (63), career total offense (6,514), single game touchdown passes (6), and single season touchdown passes (20). Babb is ranked in the top three on Stark County’s all-time list for career passing yardage, behind Ben McDaniels (5,830) of Canton McKinley and Justin Zwick (5,741) of Massillon. Babb’s career TD passes (63) ranks him 15th all-time in Ohio high school football history. According to OHSAA records, Babb’s 5,257 career passing yards is 28th all-time in Ohio high school football history. Not only was Babb a tremendous passer, he could hurt teams with his legs. He had 323 career rushing attempts with head Coach Ron Kuceyeski’s Aviators for 1,257 yards and 13 touchdowns. Babb earned countless postseason honors at Alliance. He was named to the All-Northeastern Buckeye Conference football team and was named the NBC Player of the Year in 2006, as selected through a vote by the league’s coaches. 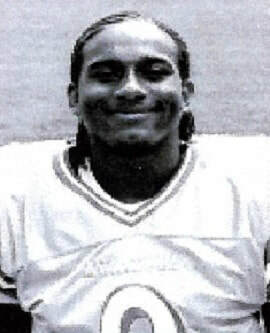 He was also named the Stark County MVP and was named to the All-Ohio team for the 2006 season. In 2006, Babb led the Aviators to the Northeastern Buckeye Conference co-championship with Northwest and a spot in the OHSAA Division II Region 7 football playoffs. During his four year AHS career, he guided the Aviators to a 26-17 record and 2 State of Ohio Playoff appearances. Upon graduation from AHS, Babb received a full football scholarship to Colgate University of the Patriot League. Charles Babb was nominated for the AHS Athletic Hall of Fame by Ron Kuceyeski.